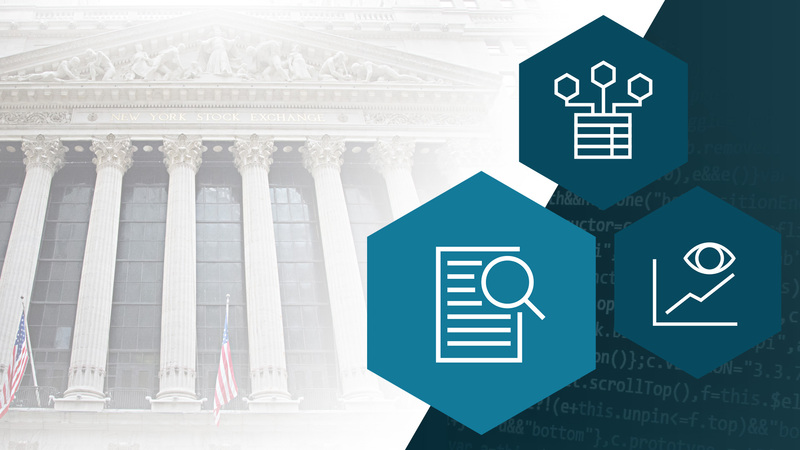 Continuing with our guide to stock market data, in this post we will detail the various databases available for analyst ratings and targets, options, futures and indexes, and alternative data. If you haven’t yet read Part One then you may do so by visiting here or else continue reading for Part Two. Understanding what other investors and analysts expect from a stock is a key component of forecasting that stock accurately. In certain cases, rosy analyst ratings may reflect a healthy underlying company; in other cases, they may reflect a consensus that is ripe to be faded. Either way, they constitute important data for the informed quant. Analyst ratings and stock buy/sell recommendations are important. Equally important are the trends in ratings and recommendations. Trend surveys help anchor and contextualize ratings that would otherwise be abstract and theoretical. For example, if every analyst of a stock downgrades that stock, it does not matter what the absolute rating is for that stock; the price is likely to go down (since the prior stock price encapsulated the former rating, by the efficient markets hypothesis). History and revisions data for stock ratings is thus a critical component of the quantitative toolkit. Market Consensus Master– Complete view of market consensus: earnings, sales, surprises, growth, buy/sell ratings and target prices. Includes all Zacks analyst survey databases. Includes dividend data for free! Analyst Recommendations– Daily buy/sell recommendations for 5,000 publicly traded companies, from 2,600 analysts at 185 firms. Analyst Revisions– Recent estimate and ratings revisions from individual contributing brokers and analysts, updated daily. Analyst Rating History– Historical estimate and ratings revisions for 5,000 companies going back to 1995, updated monthly. Active Analyst Ratings– Crowd-sourced ratings and recommendations, filtered to include only active analysts. Sometimes the best predictors of a stock’s performance come from observing the actions – not the opinions — of other market participants. High-frequency trading (HFT) algorithms, corporate insiders, and institutional investors all affect stock prices in significant ways and they often have specialized information and/or incentives. Knowing how they are acting is an essential part of the analyst’s toolkit. Many technical trading strategies are based on identifying levels of support, resistance, strength and weakness in the market, which are manifestations in price space of the aggregate activities of many other traders. These too are important pieces of information for the stock market analyst. In some cases, market participant actions are publicly known, albeit usually with a lag, due to regulatory reporting requirements. In other cases, it is possible to infer actions from secondary signals, using clever analytical techniques. Inferred signals may be less accurate but they are more valuable to traders since they are largely contemporaneous with the actual market activity they measure. Stock option prices and volumes encapsulate a huge amount of information about the stock: bullish and bearish sentiment, expected riskiness, time horizons of market participants, position size, breakeven points, cost and stop levels, and much more. The experienced analyst can glean a wealth of market positioning data merely by inspecting activity in the options market. US Equity Option Analytics– More than 70 extended volatility metrics for 2,500 US stocks, including put/call ratios, forward prices and option breakevens; history to 2002. Stock futures and stock indexes offer alternative methods for participants to gain exposure to equity markets. They allow investors to target specific sectors and styles in a much more efficient manner than buying/selling dozens of individual names. Furthermore, in many cases, futures and indexes are more liquid than the underlying constituent stocks; they are also easier to take short positions in. For these reasons, stock futures and indexes often see more trading volume than individual stock tickers. Index arbitrage involves buying and selling stocks as they enter or leave an index, in anticipation of subsequent position rotation by large institutional players. (Stocks that are part of major indexes command a premium versus those that are not). This is a lucrative source of returns for analysts who can successfully predict index composition changes, using stock fundamentals or other data. Reference Futures Contracts– Price series for 12,000 individual futures contracts. 50 symbols, 50 years of history; Covers major US and global exchanges. Eurex Futures– Price histories for 70 contracts traded on Eurex, including DAX, Stoxx, MSCI World. Global Index Prices– Definitive collection of global equity indexes; all major benchmarks included; decades of history. In addition to hosting core financial databases, Quandl is also the premier source for alternative data, that is, data which produces an informational advantage for professional investors. Armed with this data, investors are able to beat benchmarks and generate what is known as “alpha” in Wall Street’s parlance. But previously unknown information rarely remains that way, which is why investors are always looking for new sources of alpha. We call this concept the diffusion of alpha. Here at Quandl, we invest significant time and resources into sourcing only the highest quality alternative data. It begins with a market hypothesis, thorough analysis and data cleaning before our sales and marketing teams connect the right investor with the right product. As we hope to preserve the alpha within, we are often highly selective about who can buy and how many times we can sell a particular dataset. The variety of alternative data for alpha generation continues to increase. If you are an institutional investor interested in any of these alternative databases, please contact us. Alternatively, to begin using any of the databases listed above, simply sign up for a free Quandl account (no credit card required) to start making calls.